Just posting in with a few updates of events - lots of updates for holiday art-related shopping opportunities, particularly for original pieces. I will have several pieces at an art sale this weekend in Broken Arrow, OK at St Benedict Church, on 2200 Ithica St. - They are small originals with nothing priced over $65, and 30% of art sales will go to a trip fund to send some of their members to Lourdes in the near future. Most of these are animal pieces (and one geode!) and all display/hang ready for your wall, office, or favorite space.... the art sale is November 23 and 24 (they have specific evening festivities on the parish calendar for Saturday at 6) in Maguire Hall of the building, free and open to all ages, and it looks to be a lot of fun! On November 30th, I will have a painting auctioned off at the Bella Foundation's 12 Dog Houses of Christmas fundraiser event at the Greens Country Club in Oklahoma City. 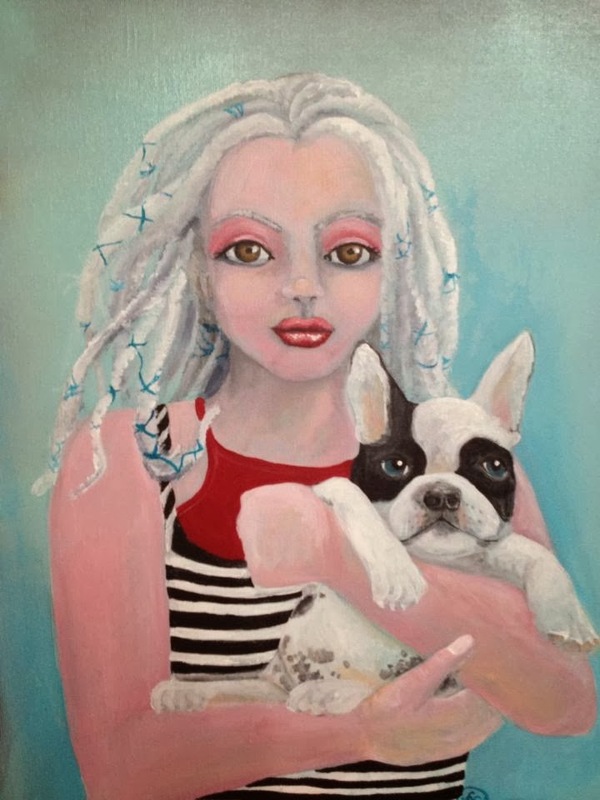 This is the only painting I have done that touches on the theme of adoption (I am adopted) and also animal adoption, even though my adult life and family have been made happier with animal friends. Proceeds from the auction benefit the foundation. To get tickets or for more info...click here. And ...of course don't forget you can always get some pieces via my Etsy shop or directly contacting me! Have a safe weekend and Thanksgiving holiday everyone!